Do you love fashion? Would you like to achieve better work-life balance by being able to work from home? Do you want to be your own boss? 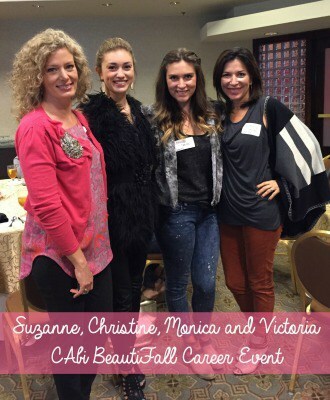 On October 28th, I had the pleasure of attending the CAbi BeautiFall Career Event. It’s no secret that I'm a huge CAbi fan, in fact, I’ve hosted numerous shows in my home and written about them many times. But today, I want the CAbi Consultants to tell you why CAbi has been such a blessing in their lives. 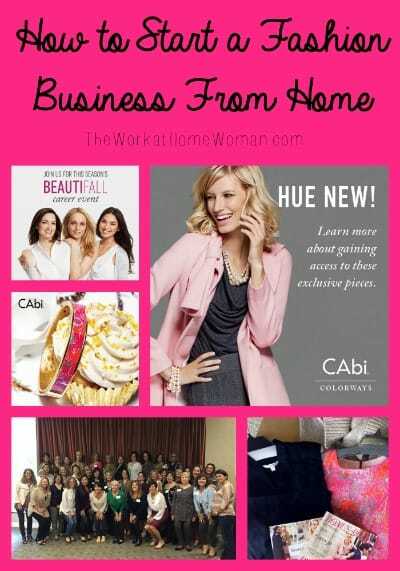 Here’s what they had to say about starting a CAbi fashion business from home. What attracted me most to the CAbi opportunity was the flexibility of my time. I was looking for a business that I could make my own and have freedom of time and earning potential. Little did I know how much more it would give me! The amazing relationships and the personal growth that I would encounter are just a few examples of this great career. My daughter (Monica) had been assisting me in my business since she was in high school. She has a fashion merchandising degree and always thought she would go on to be a buyer or an event planner. One day a light bulb went off that she too could have her own business and do what she loves which is style and empower women through fashion. She also realized if she worked it really hard in her 20's, she would then be able to have a great business that she could work part-time hours when it was time to have children. The gorgeous CAbi clothing first attracted me to the business opportunity; I just had to have more of the amazing clothes! In addition to the clothes, I was intrigued by the ability to control my schedule and attend parties for “work.” A few short months into my CAbi career I was in awe of the amazing community and home office support. The women I've met through CAbi have become my closest friends and partners, in CAbi and in life. I have been with CAbi for four years. I was attracted to the business because I truly loved the clothes, and with our eldest daughter going off to college, I wanted something to help offset college expenses, but also to give me something positive to focus my attention on, now that she would be nine hours away from home! CAbi has been the perfect balance for me, in that it gives me a social outlet with other women, since my husband is perfectly comfortable staying at home, and has a hard time keeping up with all my social networking! And frankly, I have an amazing wardrobe now, and know that every time I step out wearing CAbi, I will get a compliment – it's like magic! My daughter, Christine is not with CAbi, but it is something she will be considering in the next few years. The clothes! They were just what I was looking for … not from the juniors department and not from the misses department. Once I realized I could have all the CAbi I wanted in my closet and it not come from the family budget, I was hooked. Does CAbi sound like it might be a good fit for you?! Here are four steps you can take towards launching your own home-based fashion business. 1. Watch the CAbi BeautiFall Career Event. This informative and fun broadcast will tell you all about the opportunity, the clothes, the brand, and the culture. And you can watch it from the comfort of your home anytime you want. If this gets you excited … move on to the next step! Click here to view the CAbi BeautiFall Career Event. What better what to experience the brand than to host a home-shopping party?! Here you can try on clothes (which you will love), talk to a CAbi consultant one-on-one, and earn hostess benefits. I can tell you from personal experience, the clothes look nice in the catalog and on the rack, but look amazing when you try them on. CAbi has really designed a line that fits all body types, ages, and styles! 3. Explore How Much You Can Make. CAbi consultants earn 25% – 33% commission on sales. As a CAbi Consultant, you can earn an additional commission by building a team and selling your end of season inventory. The initial investment for your seasonal inventory is $2,570 with shipping, plus applicable sales tax. If you sell 70% of your seasonal inventory at 50% off, you'll earn $3,000+. Want to see what this translates to in terms of hours and earnings? Check out their cool CAbi Calculator to see how much you can earn hourly, monthly, and annually. 4. Join CAbi as a Consultant. When you sign up with CAbi you work for yourself, but not by yourself. From day one you’ll be assigned to a CAbi Consultant who will not only walk you through the process but be your guide and mentor. CAbi also provides ongoing training, support, and marketing materials — all the guesswork is taken out of the process, so you can start making money quicker. If you'd like to get involved with CAbi, please sign up here for additional information. This sounds great, i am trying to open a modeling agency, since i use to model. This would be great to have a fashion show to show all of CAbi clothing. I am so excited, how does the size range because i am looking for plus size models as well. Hi Teresa, They have sizes 0 – 16.